Since Top Five Tuesday is on a break this week, I thought this would be a good opportunity to tell you about five books I really would like to read this spring. As you know, I am not someone who can follow a TBR, but surely I can commit to these five books. Right?! 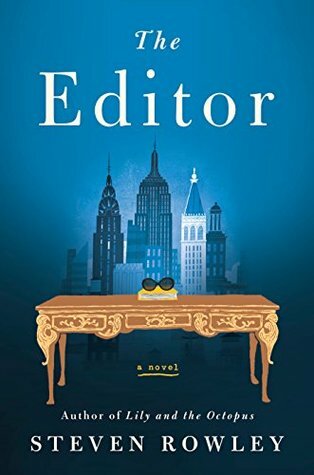 Goodreads Summary– After years of trying to make it as a writer in 1990s New York City, James Smale finally sells his novel to an editor at a major publishing house: none other than Jacqueline Kennedy Onassis. Jackie–or Mrs. Onassis, as she’s known in the office–has fallen in love with James’s candidly autobiographical novel, one that exposes his own dysfunctional family. But when the book’s forthcoming publication threatens to unravel already fragile relationships, both within his family and with his partner, James finds that he can’t bring himself to finish the manuscript. Steven Rowley wrote Lily and the Octopus, which I heard great things about but I am too scared to read anything involving pets. Did you know that Jackie O was an editor for two years? I had no idea! I appreciate fiction books that are based on some truth. I am so intrigued to see the how the author portrays Jackie O. This book sounds like loads of fun and I always appreciate getting a behind the scenes look in to the publishing industry. 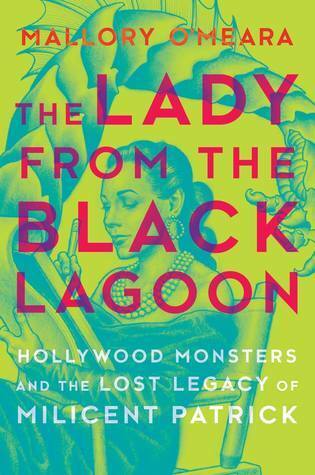 Goodreads Summary– As a teenager, Mallory O’Meara was thrilled to discover that one of her favorite movies, The Creature from the Black Lagoon, featured a monster designed by a woman, Milicent Patrick. But for someone who should have been hailed as a pioneer in the genre there was little information available. For, as O’Meara soon discovered, Patrick’s contribution had been claimed by a jealous male colleague, her career had been cut short and she soon after had disappeared from film history. No one even knew if she was still alive. I really enjoy nonfiction titles like this one where the author has a very unique and personal interested in the topic or person they are researching. I am such a chicken when it comes to horror, and yet it intrigues me. I listened to O’Meara talking about her book on the podcast What to Read Next and it was her passion that compelled me to add this book to my TBR. Sounds fascinating! Goodreads Summary- A century ago, the Sentience Wars tore the galaxy apart and nearly ended the entire concept of intelligent space-faring life. In the aftermath, a curious tradition was invented—something to cheer up everyone who was left and bring the shattered worlds together in the spirit of peace, unity, and understanding. 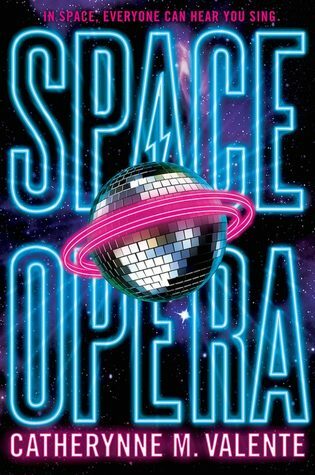 Space Opera was nominated for a 2019 Hugo Award for Best Novel. I would like to read everything on this list but this is the one that intrigues me the most. It just sounds like so much fun. Beauty pageant in space? YES PLEASE. This is exactly my kind of SciFi and I am not wait to read it. Goodreads Summary- Under the influence of their charismatic classics professor, a group of clever, eccentric misfits at an elite New England college discover a way of thinking and living that is a world away from the humdrum existence of their contemporaries. But when they go beyond the boundaries of normal morality they slip gradually from obsession to corruption and betrayal, and at last – inexorably – into evil. Now, this might be cheated because I am technically currently reading The Secret History. I am very much enjoying it, but keep getting distracted by other books. This book is a little denser and its quite long but I know if I just sat down and put the time in to it I would really love it. The cast of characters are all very mysterious and I am excited to see where the story is going! 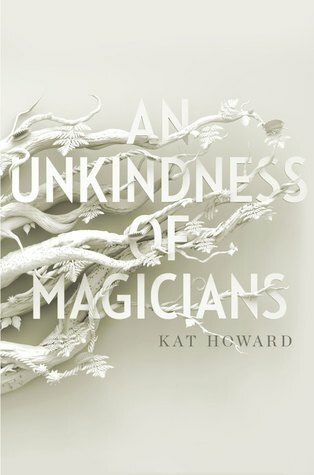 Goodreads Summary- There is a dark secret that is hiding at the heart of New York City and diminishing the city’s magicians’ power in this fantasy thriller by acclaimed author Kat Howard. The Unkindness of Magicians is a couple years old now but I have been seeing it a lot on Booktube recently. Fantasy can really be hit or miss for me but this one sounds right up my alley. It sounds a bit dark, which I always appreciate. There is also something about fantasy novels set in New York that works for me. Have you read any of these books or are they on your TBR? What books are you most excited to read this Spring? The Secret History is definitely something I want to try as well. Curious to see your final thoughts on it! And Space Opera is a super weird and fun ride–I hope you love it! Thank you! I have a good feeling about both those books. I am thinking of picking up Space Opera when I am down The Secret History because it seems like a lighter more fun read and I will probably need it! I know! So simple but striking! Awesome! That is good to hear. Can’t wait to get to it! Great list! Space Opera looks WILD, I can’t wait. Doesn’t it? So excited about it! I was an enormous fan of The Secret History, I hope you enjoy the rest of the novel and I’m looking forward to hearing your thoughts on it! Definitely requires your time and attention. Yay! That is so good to hear. The further I get in to it the more I love it. I am intrigued so far! The element of mystery is very interesting and I am always down for a book set at a college. I’ve been curious about the Secret History because I liked the Goldfinch, but it also seems like a bit of an undertaking so I’ve been dragging my feet on starting it. Glad to hear you like it though! I am hoping to get to The Goldfinch as well. She’s a brilliant writer that is for sure but her books are huge! Ah you’ll have to let me know what you think in the end! I picked up Space Opera at the end of last year and still need to read it! Especially now that a sequel has been announced. I didn’t realize there was going to be a sequel. Hopefully we both get to it soon! They just announced it a week or two ago! 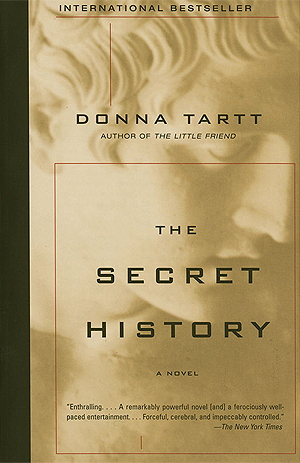 I read The Secret History years ago (and that was randomly finding it in the bookstore) though I remember enjoying it. I think I’ll have to reread it at some point though. I just added an Unkindness of Magicians .. sounds right up my alley too! The Editor sounds really good!! Doesn’t it?! Excited about the one. Great list! I hope you love The Secret History, it’s one of my all-time faves. 🙂 I’ve also been considering picking up An Unkindness of Magicians lately, I’ll look forward to your review if you get around to it! Thank you! Making my way through The Secret History and it’s fantastic. I’m planning on reading An Unkindness very soon. I have high hopes! I loved An Unkindness of Magicians! I hope you enjoy it too! Yay! I’m really excited to read it. Love this post so much! All the books seem so interesting, especially Space Opera and The Secret History! Great post! Thank you! I can not wait to read those two books! Do let me know how they are! Great list! I’m curious about secret history and unkindness of magicians! Thanks! I definitely have high hopes for both.